could contribute to understanding of their early lives. Paleontologists have uncovered more than 200 fossilized eggs belonging to the flying reptiles that soared during the age of dinosaurs. The discovery, which was announced Thursday in the journal Science, is the largest collection of pterosaur eggs found so far. The find could help advance our understanding about the early lives of the extinct winged creatures, including their relationships with their parents. Pterosaurs terrorized the skies for more than 160 million years until they went extinct alongside the dinosaurs some 66 million years ago. They are the largest animals to have ever flown, with some like the colossal Quetzalcoatlus having wingspans as large as fighter jets. The species that laid the recently discovered eggs is known as Hamipterus tianshanensis. It lived during the early Cretaceous period and its wings stretched about 11 feet long. It also sported a thick forehead crest and had a mouth full of pointy teeth for snatching fish. Xiaolin Wang, a paleontologist at the University of Chinese Academy of Sciences, Beijing, and lead author of the study, discovered the eggs in a 120-million-year-old pterosaur boneyard in the arid Gobi Desert in northwestern China. When the pterosaurs thrived, the place was most likely a lush lakeshore. 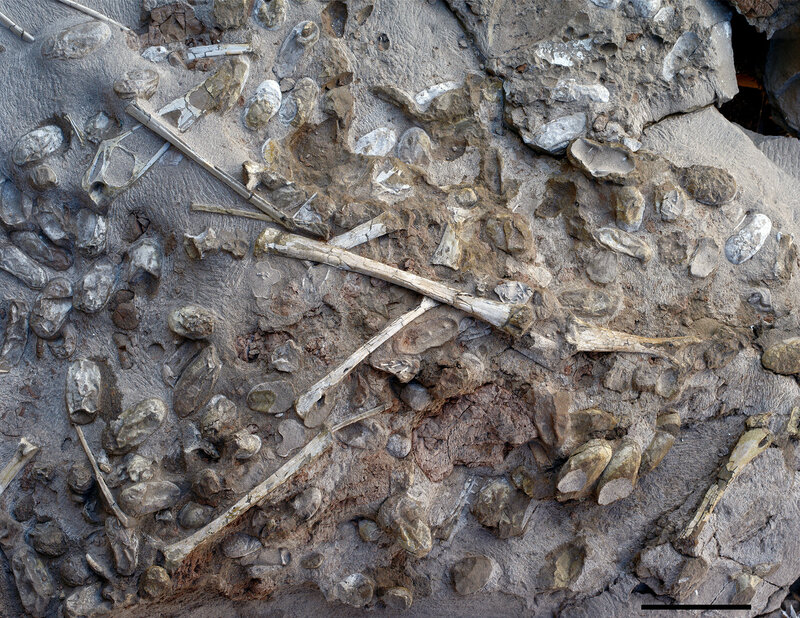 The team suggested that a strong storm most likely washed the eggs into the lake, where they were buried alongside pterosaur bones and preserved for millions of years. When Dr. Wang discovered H.tianshanensis at the same site in 2014, he had only unearthed a handful of eggs. Later he found the motherlode. Fossilized eggs and bones from the new discovery. CreditWang et al. The cache of well-preserved two-inch eggs stunned his colleague Dr. Kellner. By NICHOLAS ST. FLEUR NOV. 30, 2017.